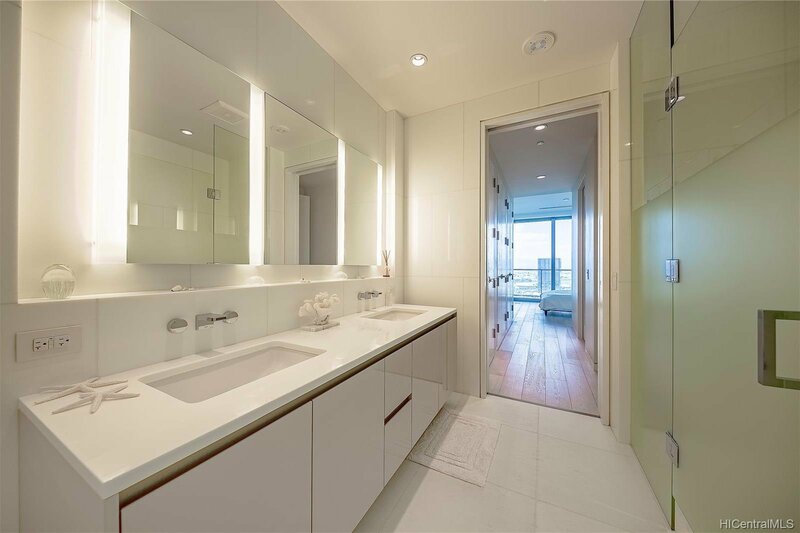 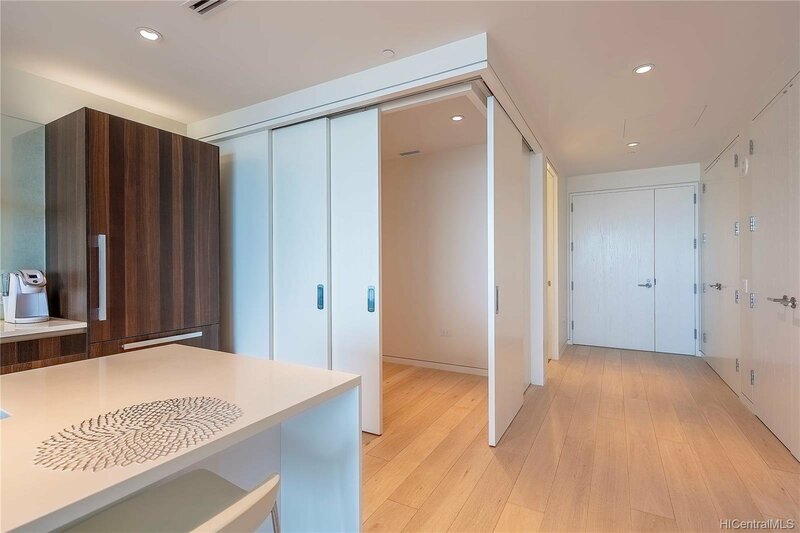 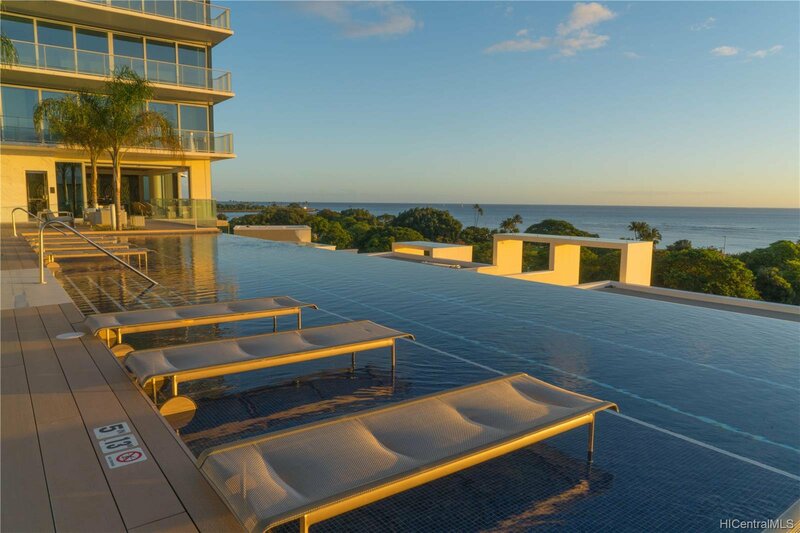 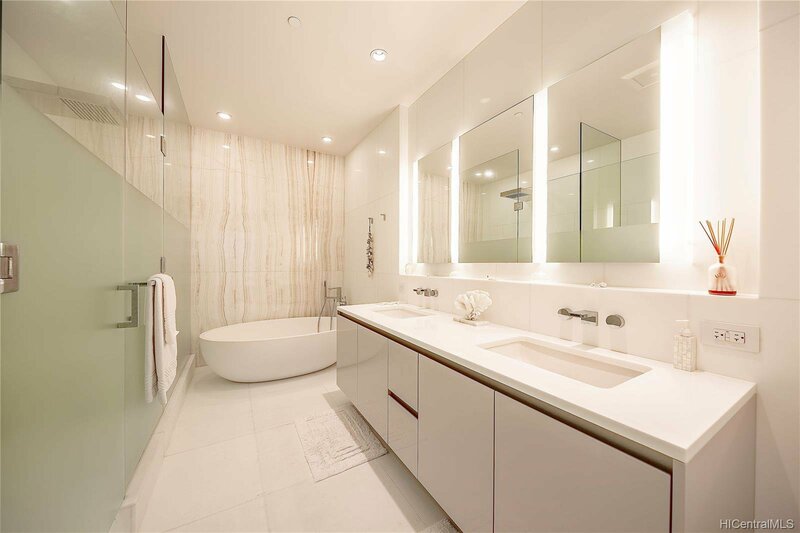 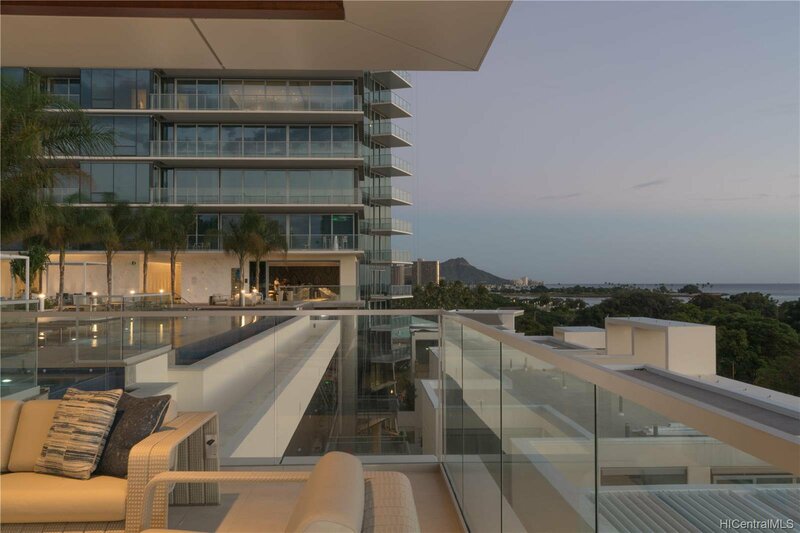 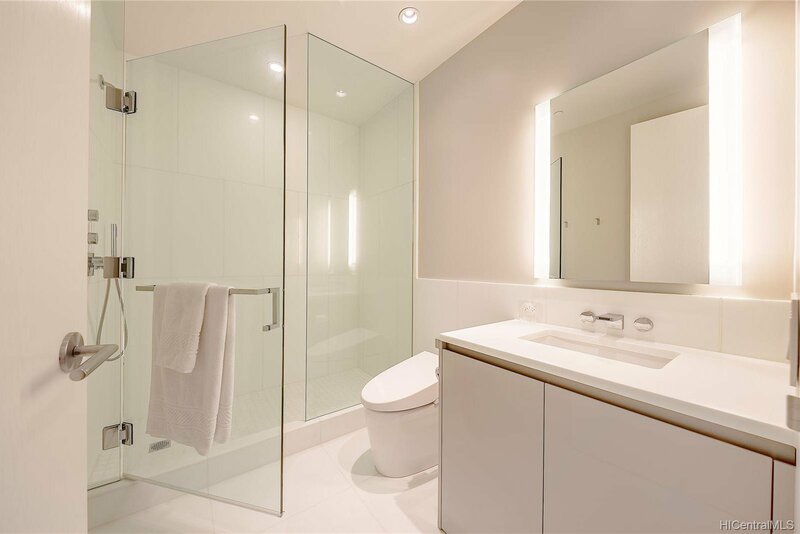 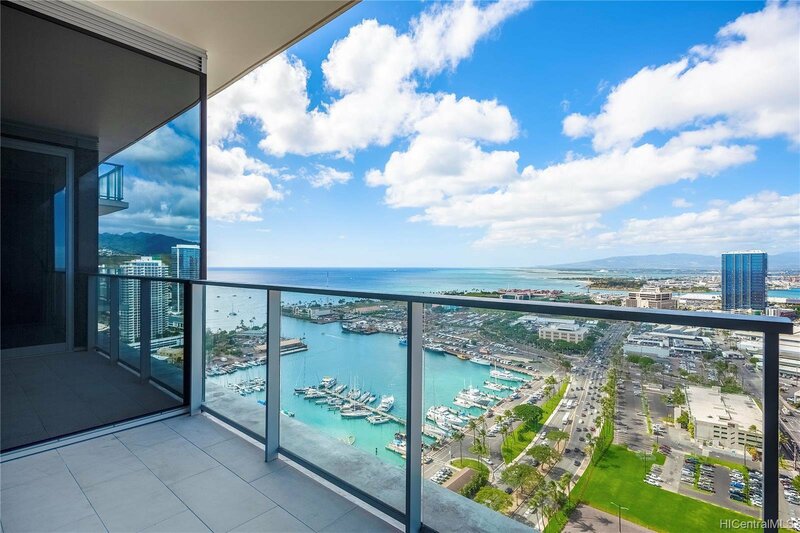 A very spacious 1 bedroom 2 full bathroom (upgraded Neorest TOTO toilets) in the Honolulu's most luxury building "WAIEA." 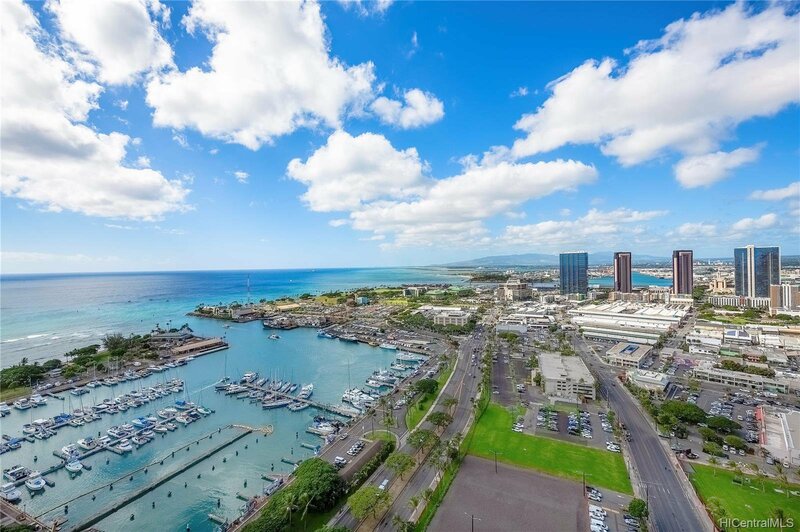 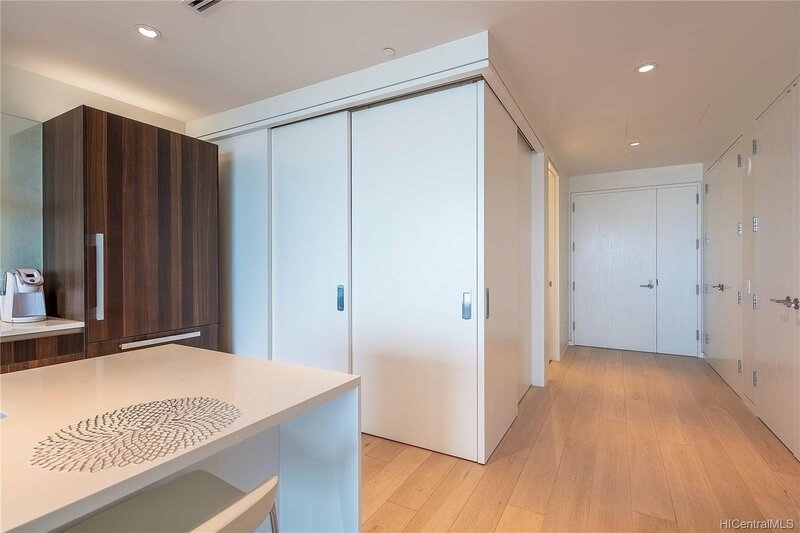 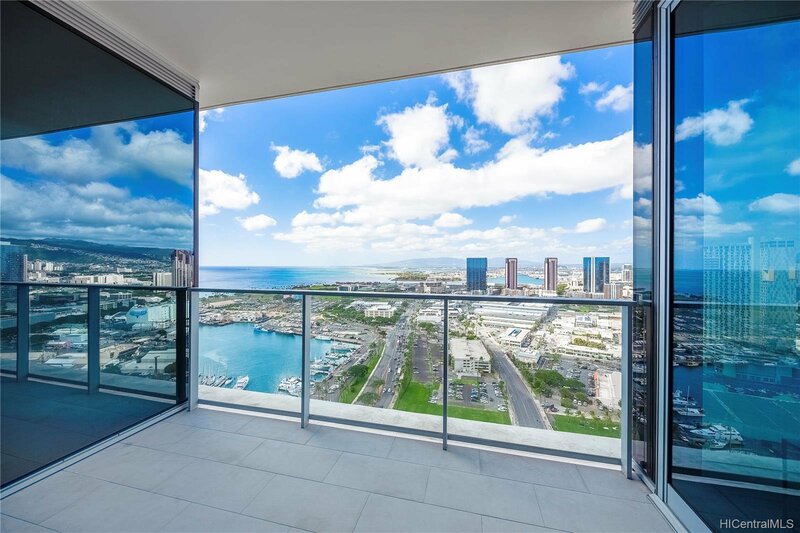 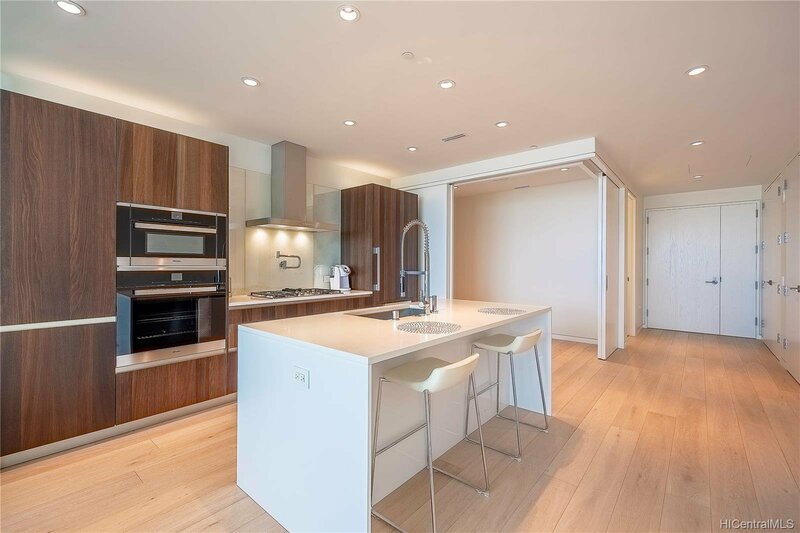 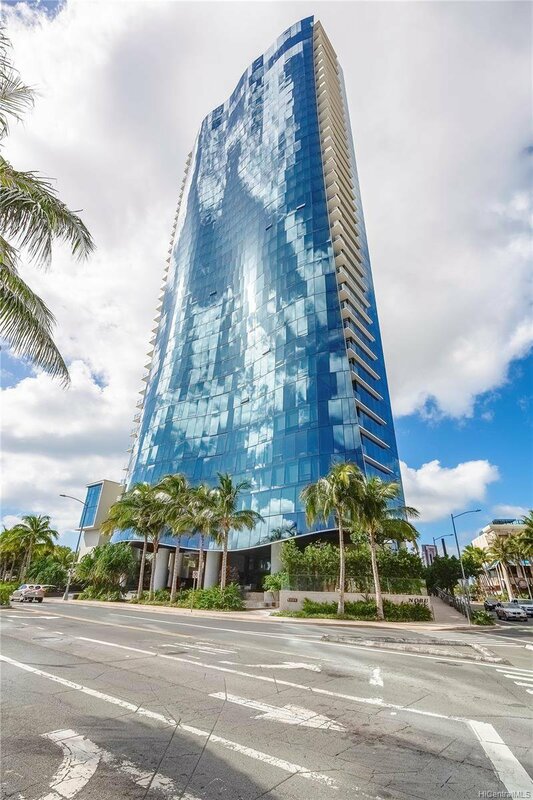 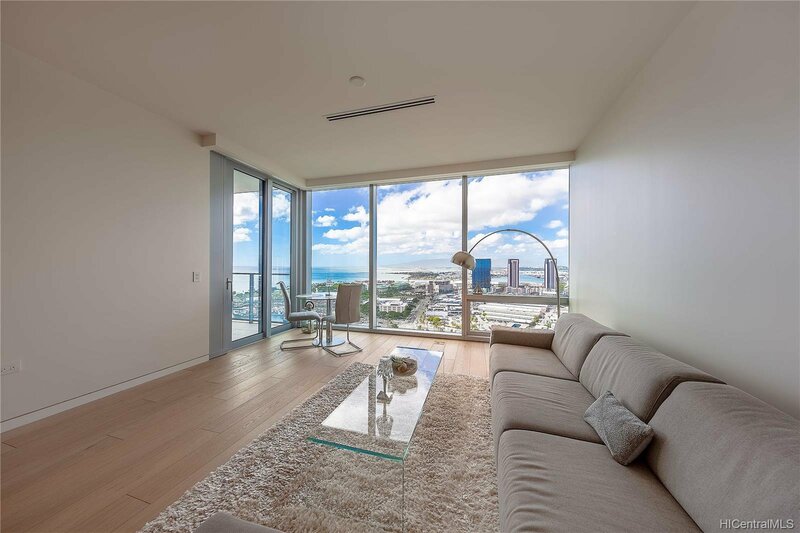 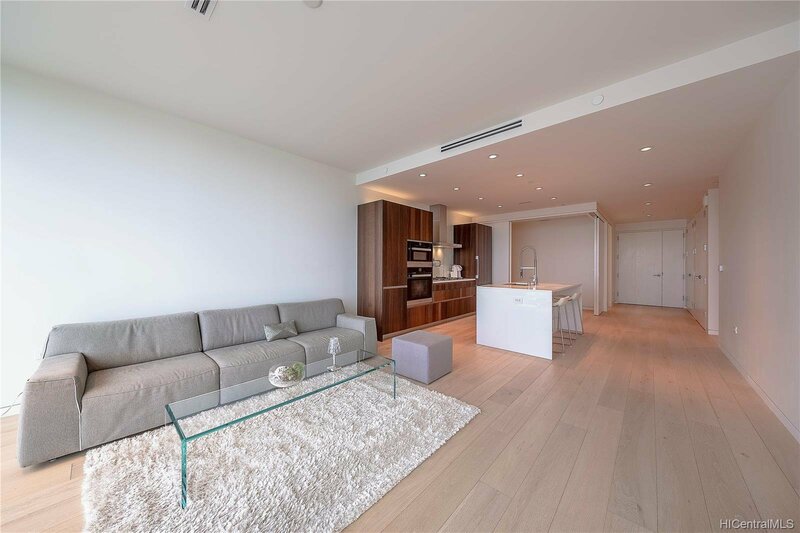 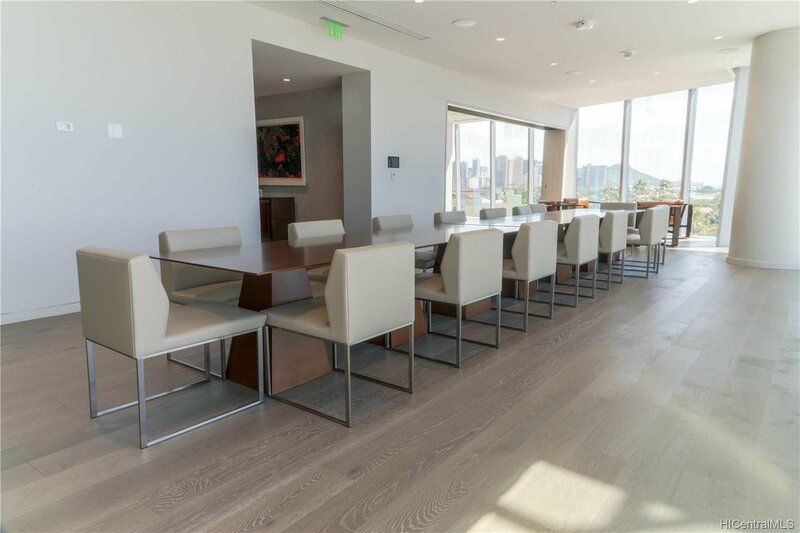 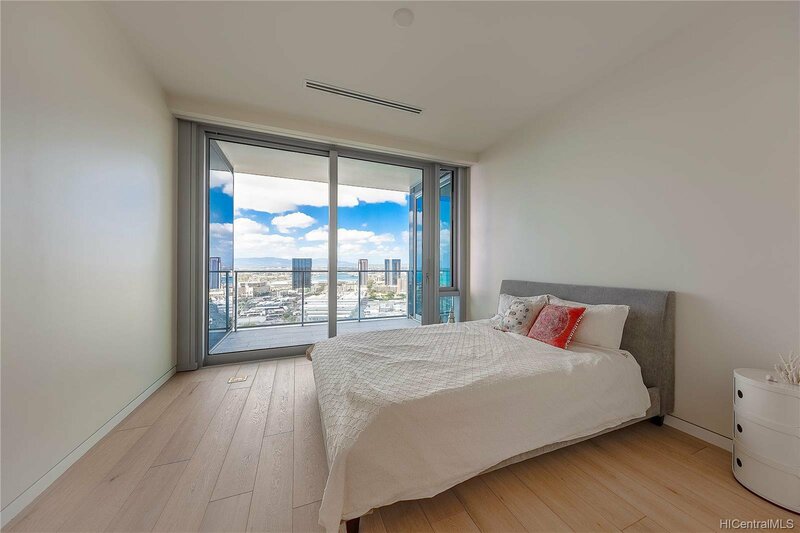 High floor unit with hardwood floors, gourmet kitchen w/Miele appliances, ample storage , full size washer/Dryer & lanai w/spectacular views of the ocean, sunset, harbor, & city. 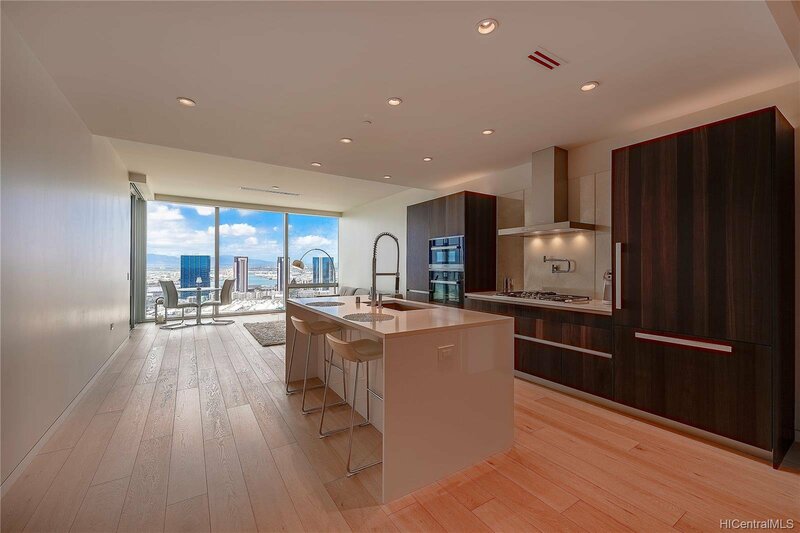 Only 4 units in the 30th floor. 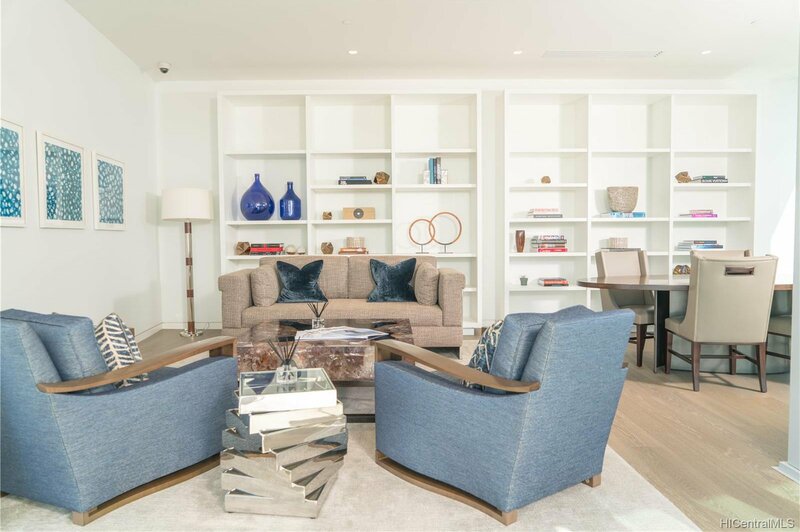 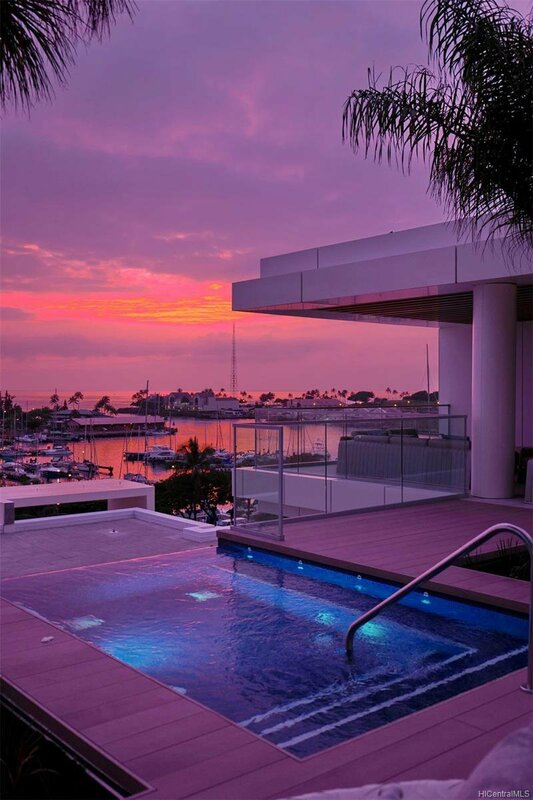 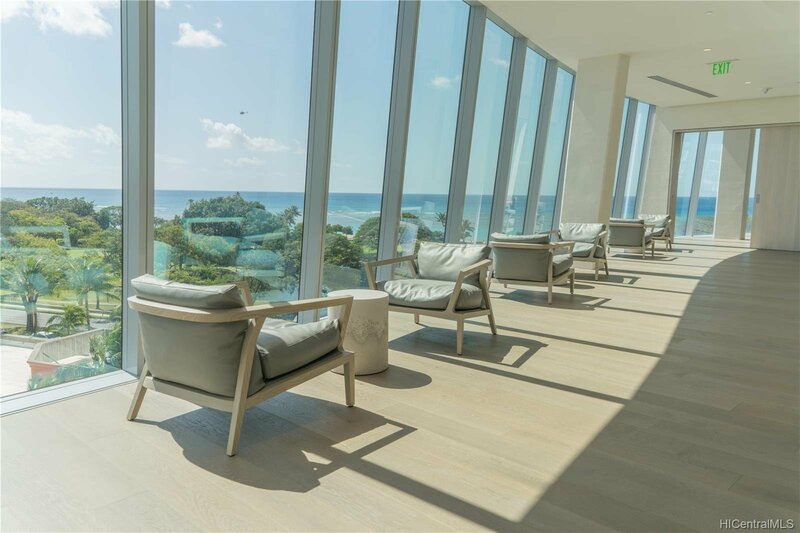 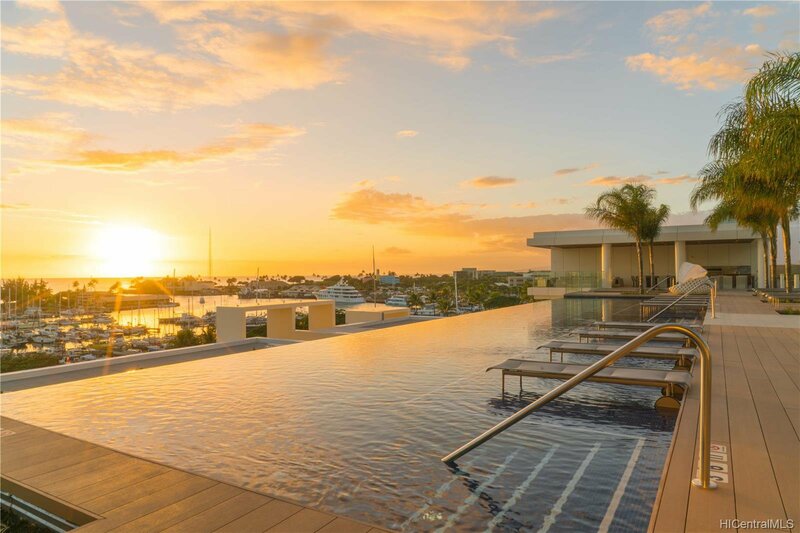 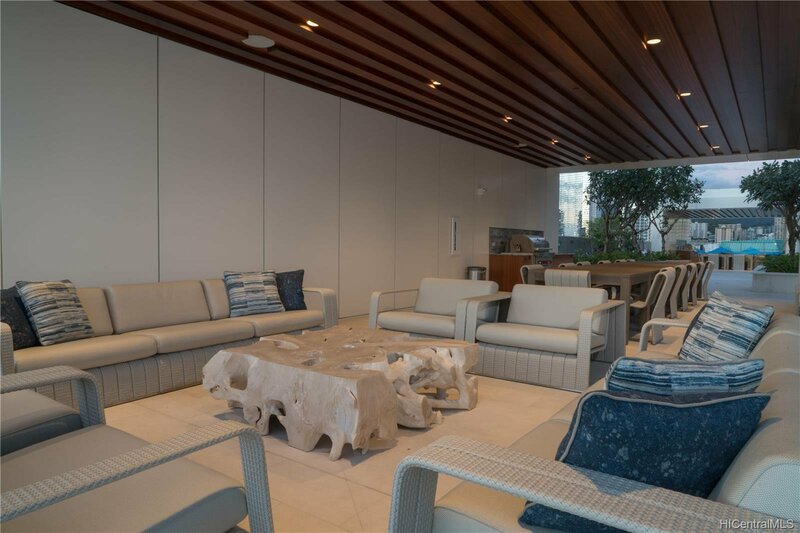 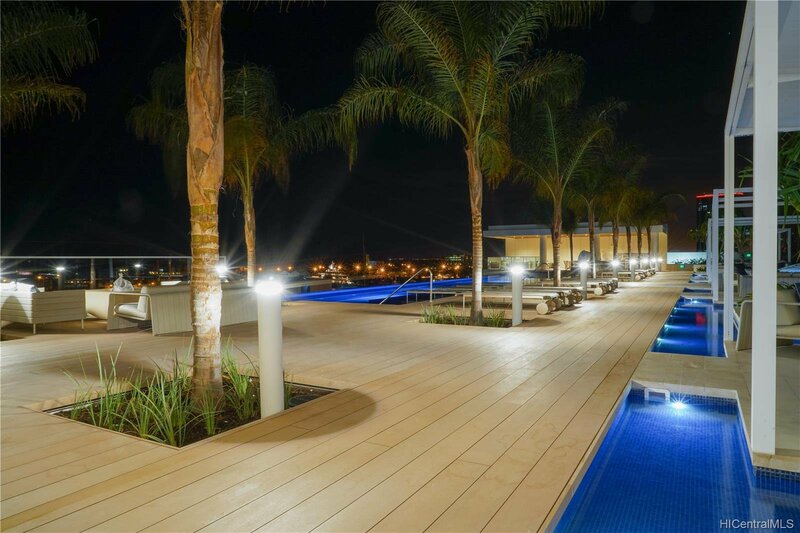 The building features world-class concierge service & amenities including 5 guest suites, infinity edge pool, gym, Sauna, BBQ pavilions, movie theatre, Sunset Bar, dining room & much more!